Garuda Indonesia, the national airline of Indonesia, is to reintroduce non-stop flights from Gatwick to Jakarta in the third quarter of 2013. Flight time will be 13 hours +. From 1 February Malaysia Airlines has become the 12th full member of the oneworld alliance serving more than 60 destinations in almost 30 countries. It is the only airline connecting Kuala Lumpur non-stop from Heathrow and has a twice daily Airbus A380 service. 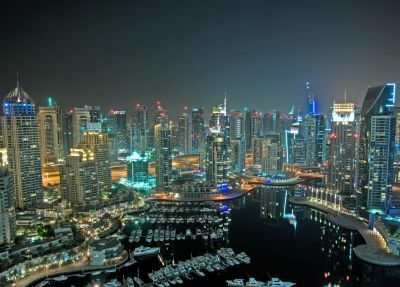 Malaysia is one of the world’s fastest growing economic powerhouses. With the Government pouring billions into the development of HS2 (see above) it has refused to support plans of assistance for the stricken (closed) Plymouth Airport. The Olympic Legacy Organisation has brought forward plans to open the ArcelorMittal Orbit in the Queen Elizabeth Olympic Park and tickets have now gone on sale for dates between 29 March and 6 May. From the top you can see the major changes to park with the north area due to open to the public in July and the whole vista in spring 2014. A free bus tour can be booked in advance (0800 023 2030). In what is a very significant move for BAA (as it is still called on the web site), Glasgow Airport has won the Wizz Air business from rival Prestwick. Please visit the Business Travel News stand at the Business Travel Show (No 471 on the right hand side opposite Priority Pass). Leave your visiting card and you might win a pair of easyJet flights to and from any of the 130+ airports that the UK's largest carrier operates into. Allocated seats of course. 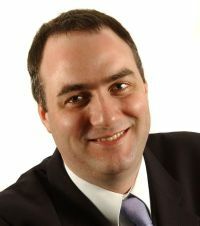 David Chapple is Event Director of the Business Travel Show, which takes place at Earls Court 2 in London on 5-6 February 2013. More than 30 airlines are participating, just a fraction of the 200 exhibiting companies at the show, which is attended by over 6,000 senior buyers from all over Europe. Next door is Travel Technology Europe 2013, but it is all under one roof. Twinings and British Airways are promising to transform tea in the air with an innovative new blend of the nation’s favourite drink, specifically designed to enjoy at altitude. The world famous tea maker dates back to 1706 and still is resident in its original Fleet Street, London, premises. 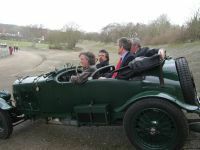 The Heritage Lottery Fund (HLF) announced today the success of a (conditional) £4.85m bid from the Brooklands Museum for a major expansion of its facilities. The details for the northern section of HS2 were published last week. 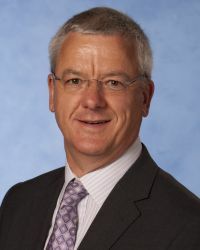 The Government has also announced its decision to suspend the development of a spur connecting HS2 with Heathrow Airport, subject to the outcome of the Airport Commission. 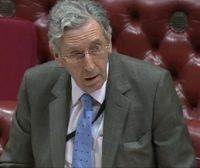 The British upper house, the House of Lords, essentially a revising chamber, has strongly criticised the UK Treasury regarding Air Passenger Duty (APD). 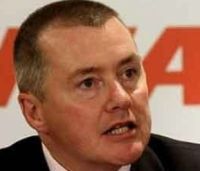 Unions at loss making Iberia will hold five straight days of strike action in the second half of February after failing to come to an agreement with management over job cuts, a spokesman confirmed last Friday. Scandinavian Airlines (SAS) has today (4 February) launched a 1hr 40mins non-stop week daily flight from Newcastle to Copenhagen. A Sunday service will be added for the summer season. A two-class 50-seat Bombardier CRJ200 is used for the service. With evening departures at each end it will give a full working day at both centres. 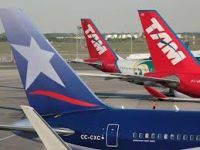 LAN Airlines and TAM Airlines, the two leading airlines in South America, will share stand space under the LATAM Airlines Group umbrella at this week’s Business Travel Show. It is thought that this is the first time the airlines have jointly exhibited, certainly in Europe, since their amalgamation in June last year. Star Alliance member United Airlines will be the lead (and largest) carrier when the new Heathrow T2 opens, expected to be at the start of the summer season 2014. 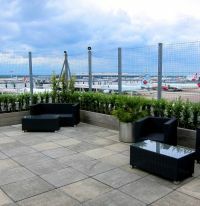 With no domestic gates in T3 the Chicago-based airline should benefit with connections to the new Virgin Atlantic services from Aberdeen, Edinburgh and Manchester, also moving to the new terminal. For the first time all the United and former Continental Heathrow services will be in one building. Latest capacity information from flight data and timetable management company OAG shows that airlines worldwide will operate 3% less flights in February 2013 versus last year, and have 1% less seats. However last year was a leap year with an extra day. On a seat per day basis the capacity will grow by 3%. A bygone era in air travel is returning. Delta Air Lines is to open Sky Deck's, outdoor terraces at Atlanta and New York lounges. In years past many airports offered this facility. With the growth of international terrorism this was withdrawn. The Delta feature is in a secure area. First we had GO (British Airways) which has gone, and now we have HOP!, a different concept, and the Air France vision for regional services. Translated, according to AF, this means “from here to here”. Schoolchildren in developing countries are to be supported by Lufthansa. As part of a campaign that ran until 31 January 2013, the airline is donating one sheet of paper to schools in developing countries for each paperless check-in procedure completed by its passengers. 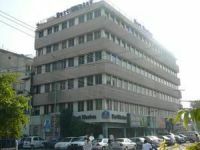 Best Western has opened it first hotel in Lahore, the capital of the Punjab (Pakistan). With eight resident member airlines operating, Air Canada, Avianca, TACA Airlines, COPA, Lufthansa, South African Airways, TAM, Turkish Airlines and United, Star Alliance has opened an exclusive lounge at Buenos Aires International Airport. It will serve more than 130 weekly direct flights to 13 destinations in both North and South America, Europe and Africa. Travellers from Gatwick to Victoria Station will be pleased to learn that London Mayor Boris Johnson has confirmed that the popular 24 will become the first bus route in the capital to be served entirely by a fleet of new 21st century Routemaster style buses.